Terra and Aqua. They showed más chemistry and are just better looking together. 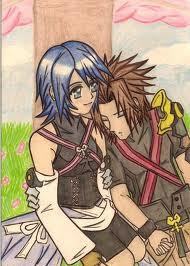 Aqua's like an older sister to Ventus, I think they would be a weird couple...But that's just me. I'm not a big fan of Aqua x Terra either, but I like it más than the Aqua x Ven one. ^ Eh...not really lol I'm not seeing the logic there. but I think Aqua deserves someone better than those 2.
i'm crazy about aqua x terra! they look very cute as couple. aqua x ven? nuh, they just look like siblings, not couple. They aren't like Sora and Kairi THAT much. I have no idea. I don't think I was awake when I wrote that. To me, any combination is just wrong...they're family! Well, basically. Everyone describes them as so, and Eraqus mentions it as well. Hmm, the crying, the whimpering, and the grabbing of culo wasn't a clue for that pair at all. The reason it doesn't seem right is because they actually mention, OUT LOUD, that they are basically brothers and sister. That and Ventus is just too innocent, and Aqua too mature, and terra too wild. Okay what I have to say about this is. 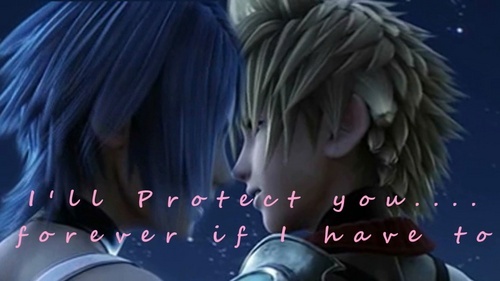 Aqua/Ven doesn't work cause Aqua like takes care of Ventus all the time. Aqua/Terra would make más sense but i don't like that either. I mean they're practically family and it wouldn't make sense for any of them to go out with each other. I think aquaxterra because Aquaxventus would be kind of perverted plus tu can see the amor between them so my final answer is aquaxterra.